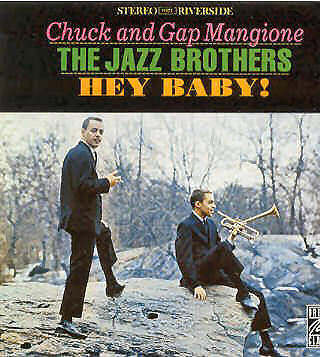 The early-1960s group the Jazz Brothers featured trumpeter Chuck Mangione and pianist Gap Mangione in a quintet also including up-and-coming tenor Sal Nistico (shortly before he joined Woody Herman's Orchestra), bassist Steve Davis and drummer Roy McCurdy; lots of young talent in that band. Their second of three recordings (the first has yet to be reissued) has reappeared as this CD. Those only familiar with Chuck Mangione's later work will be surprised to hear him playing bop-oriented music and showing the strong influence of Dizzy Gillespie. Four standards (including "The Night Has a Thousand Eyes" and "Just You, Just Me") alternate with an obscurity and three group originals. The music has spirit, even if it is a bit derivative and predictable.